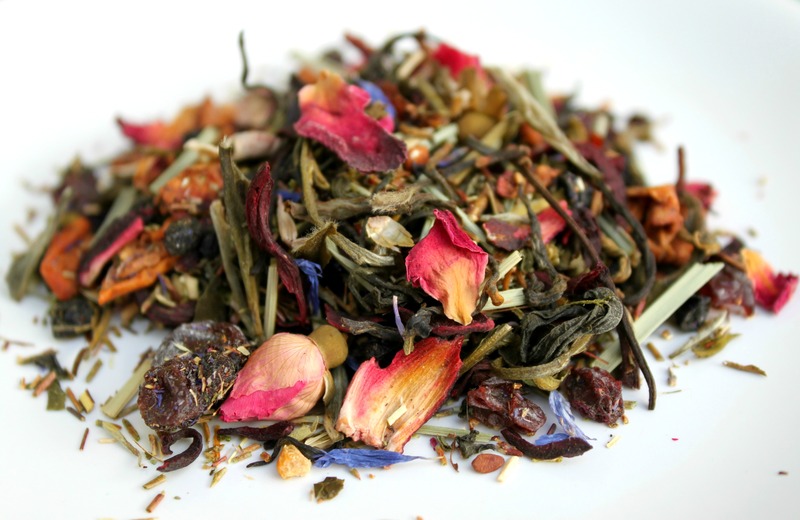 This fusion is filled with aromatic flavors – blueberries, hibiscus, elderberries, white tea, green tea, rooibos, rosebuds, lemongrass, apple, and citrus. A party for the taste-buds! One of our best sellers, too.